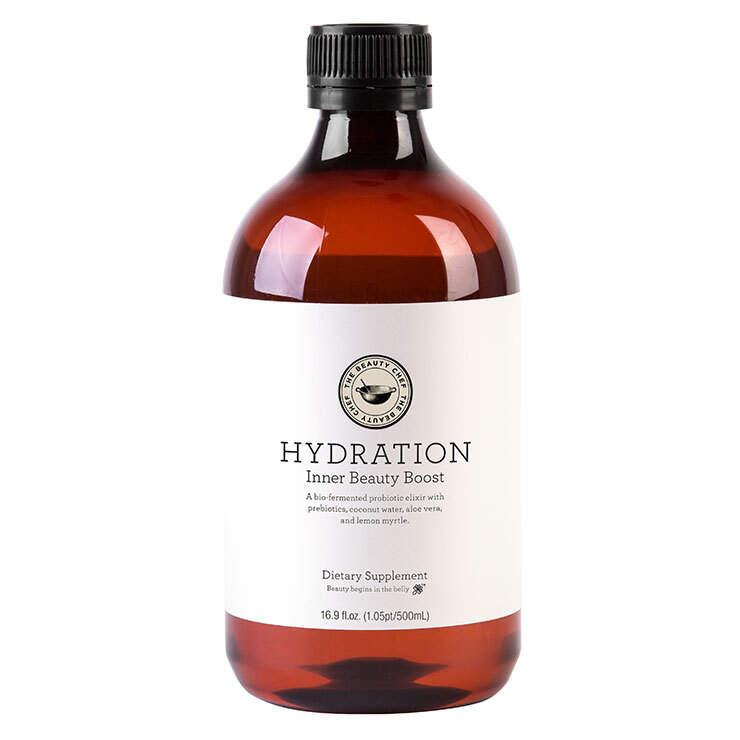 Hydration Inner Beauty Boost by The Beauty Chef is formulated to improve the overall appearance of skin health by diminishing the appearance of dry, dull, or aging skin. It also improves feelings of gut health and blood circulation/oxygenation. Comprised of Aloe Vera, Organic Coconut Water, and Lemon Myrtle, this bio-fermented probiotic elixr is the perfect daily addition for a feel of nutrition and hydration boost. Simply combine 15 mL of elixr with 200 mL of water and shake well. Consume 1-2 times daily.